January 28, 2014 (San Diego's East County) - Bullying amongst pre-teens and teens happens everywhere. Social media has made it really easy for bullies to harass and stalk their victims without suffering any repercussions. 32% of bullying victims engage in “self-harmful” behavior. August 29, 2013 (San Diego) – Dana Stevens, Executive Director of the Communities against Substance Abuse (CASA), presented a PowerPoint presentation on bullying for parents last week during a forum on child safety in Santee. East County Magazine has also recently spoken with other bullying experts to get tips on keeping kids safe. May 9, 2013 (Mission Hills) – Frequent ECM contributor Walter G. Meyer will be speaking about the timely topic of bullying at Mission Hills Books and Collectibles on May 15 at 6:30 p.m.
At Mission Hills Books and Collectibles, he will be presenting a version of the PowerPoint he has done at libraries and community centers across the country. It covers what bullying is, how to respond to it, the role of bystanders in ending it, and what can be done to prevent it in the first place. March 2, 2013 (Hillcrest) – Anti-bullying expert and ECM writer/reviewer Walter G. Meyer will be leading a discussion of bullying and school violence from 2 p.m. to 3 p.m. on Saturday March 9, 2013 prior to the 4 p.m. matinee performance of Punk Rock by Simon Stephens at Ion Theatre in Hillcrest. President of the San Diego Unified School District's Board of Education, Richard Barrera will also be on the discussion panel along with ion’s Producing Artistic Director, Glenn Paris, who directed the play. Meyer’s most recent book Rounding Third powerfully addresses the bullying/suicide crisis and was published just before started making the news. 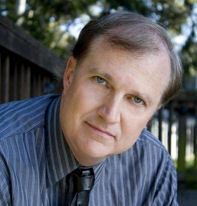 The novel was reviewed in East County Magazine when it first debuted: http://www.eastcountymagazine.org/node/2580 and Meyer is a frequent contributor to ECM. October 16, 2012 (El Cajon)--The World Famous Harlem Globetrotters will be visiting Johnson Elementary School in El Cajon today to meet with students during two assemblies. They'll be teaching students about the "ABC*s of Bullying" - a Harlem Globetrotters pilot anti-bullying awareness program. The ABC’s of Bullying Prevention program originated through partnership with the National Campaign to Stop Violence. Each year, the nonprofit organization hosts its Do the Write Thing Challenge. Last year, 60,000 middle-school students wrote essays on violence in their lives—and the most frequent experiences described by students traced back to bullying. October 6, 2012 (Spring Valley) -- In a class last week, 5th degree black belt martial arts master Scot Conway taught kids different techniques of how to handle physical bullying by showing by example at the Bully-Stop Seminar at the Guardian Academy. Adults learned just by Conway explaining it. ECM participated in a few of the techniques with the kids. First, Conway handed out a sheet of paper to the parents. The kids lined up in a line across the mat and properly greeted Conway as their sensei (teacher) by clasping their hands and bowing. Then, the kids gathered in a circle around Conway on the mat. Conway explained that one of the biggest problems of bullying is when parents are in the school office and claims are made that the bully and victim are just friends, that they’re just having fun. June 12, 2012 (San Diego’s East County)--With the end of the school year arriving, be sure to view the Khan academy video (below) to prepare for tests or simply get ahead for the next school year! May 18,2012 (La Mesa ) -- What is bullying? Why does it happen? Has it happened to you? What can be done about it? Who can help – and how? These are the questions the young people of the United Church of Christ of La Mesa (UCCLM) have been brainstorming on Sunday mornings, questions which sprang from class assignments, observation, personal encounter and the recognition that different school districts approach the problem differently – some aggressively, some only in response to specific incidents. March 10, 2012 (Alpine) -- The Alpine Sheriff’s Station at 2751 Alpine Boulevard will be hosting a station tour as well as an opportunity to learn about bullying, bike safety, personal safety and much more. There will also be a K-9 Unit demonstration. March 30, 2011 (Sacramento)--Assemblymember Marty Block (AD-78) announced today that the Assembly Committee on Higher Education, which he chairs, has approved his bill to improve the campus climates for LGBT students at public colleges and universities. AB 620 would require the California State University and California Community Colleges, and request the University of California, to adopt policies on harassment, intimidation and bullying in their student codes of conduct.